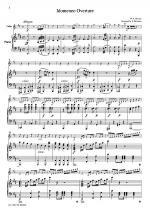 Suite From "The Fairy Queen" by Henry Purcell (1659-1695). 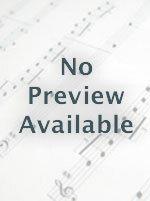 For descant recorder, treble recorder, tenor recorder, bass recorder. Score and part(s). 30 pages. Published by Universal Edition (PR.UE036036). ISBN 9790008085093. Staeps (rightly) believes that the English Baroque is the fountainhead of recorder music, and that Purcell's music is the perfect vehicle. 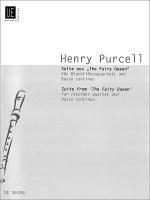 Here, he takes six excerpts from The Fairy Queen (introductions and dances) and fashions a Suite for recorder quartet with basso continuo (keyboard instrument with another bass instrument playing an octave lower than the bass recorder). For advanced quartets. Reprint of the 1957 UE original. 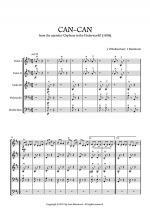 Pilgrim's Chorus From Tannhäuser - Euphonium/Saxhorn Quartet by Richard Wagner (1813-1883). Arranged by Benoit Barrail. Quartet. 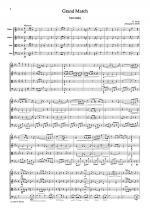 For brass quartet. Classical. Grade 3. Score and Set of Parts. 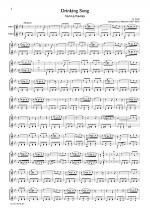 4 pages (score); 4 pages (parts). Published by FLEX Editions (FL.FX072804). 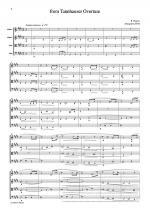 Pilgrim's Chorus From Tannhäuser - Trombone Quartet by Richard Wagner (1813-1883). Arranged by Benoit Barrail. Quartet. For trombone quartet. Classical. Grade 3. Score and Set of Parts. 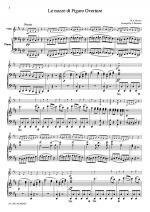 4 pages (score); 4 pages (parts). Published by FLEX Editions (FL.FX072803). 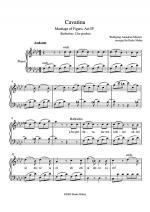 Pilgrim's Chorus From Tannhäuser - Saxophone Quartet by Richard Wagner (1813-1883). Arranged by Benoit Barrail. Quartet. 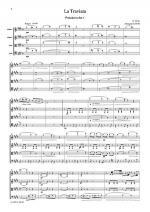 For saxophone quartet. Classical. Grade 3. Score and Set of Parts. 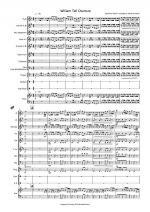 4 pages (score); 4 pages (parts). Published by FLEX Editions (FL.FX072802). 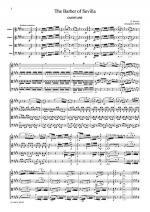 Allegro Vivace From William Tell Overture - Clarinet Quartet by Gioachino Rossini (1792-1868). Arranged by Laetitia Bouvet. Quartet. 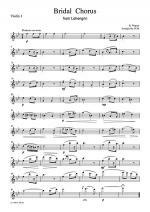 For clarinet quartet (2 Bb clarinets 1 f basset horn 1 bass clarinet down to Eb - Additional parts : 1 Eb alto clarinet cue f basset horn 1 Bb clarinet cue f basset horn). Classical. Grade 4. Score and Set of Parts. 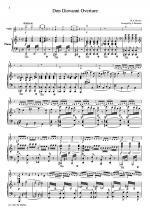 11 pages (score); 18 pages (parts). Published by FLEX Editions (FL.FX072501). 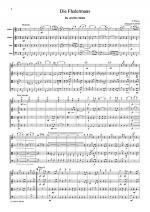 The famous Allegro Vivace of William Tell Overture arranged by Laetitia Bouvet, clarinet teacher and specialist of chamber music. Thanks to the additional parts provided, this piece can be played with 3 Bb Clarinets and a Bass Clarinet. 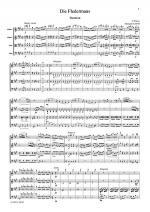 William Tell Overture - Clarinet Quartet by Gioachino Rossini (1792-1868). Arranged by Laetitia Bouvet. Duet. 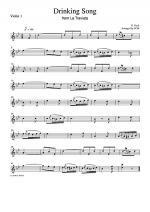 For clarinet quartet (2 Bb clarinets 1 f basset horn 1 bass clarinet down to Eb - Additional parts : 1 Eb alto clarinet cue f basset horn 1 Bb clarinet cue f basset horn). Classical. Grade 4. Score and Set of Parts. 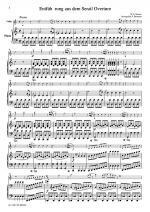 28 pages (score); 54 pages (parts). Published by FLEX Editions (FL.FX072500). 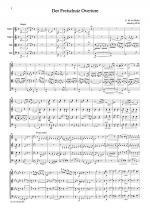 A very nice arrangement of the complete score of William Tell Overture by Laetitia Bouvet, clarinet teacher and specialist of chamber music. Thanks to the additional parts provided, this piece can be played with 3 Bb Clarinets and a Bass Clarinet.